All morning I have been reading about this 34-year-old woman named Charity Johnson, who has been pretending to be a 15-year-old teenager by the name of Charity Stevens. This woman, not only convinced someone who eventually became her guardian, that she was an orphan, homeless and had been abused by her recently deceased father, but she also enrolled in school as a 10th grader.Charity and Lincoln apparently met when they worked at McDonald’s together and Charity told her soon to be guardian, Tamica Lincoln, that she had no place to stay after both her parents had died. Feeling sorry for her, Lincoln took her in. She even brought Charity, who was actually four years older than her, clothes, did her hair and even attended parent teacher’s conferences. Lincoln said that Charity even acted like a kid, doing her homework and getting good grades, but eventually her act was exposed when a group Charity tried to join that helps children in need, called Lincoln after they tried to do a background check on Charity. Charitys mugshot where she looks every bit her real age and more. They notified Ms. Lincoln about their questions who then contacted the manager at the McDonald’s she and Charity had worked at together. The manager looked in her file and told Lincoln that Charitys’ real name was Charity Johnson, not Stevens, and that her year of birth was 1979.Lincoln then notified the police and went straight to the school to notify them. Everyone was shocked including administrators, teachers and students, some who even cried after befriending who they thought was a 15-year-old orphan. 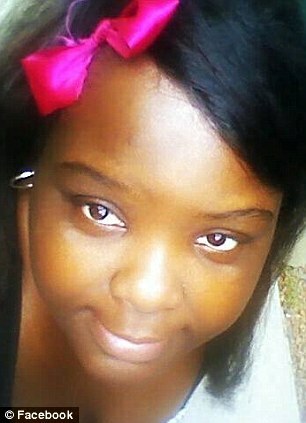 Police confronted Charity Johnson, who gave them her false name, Charity Stevens. 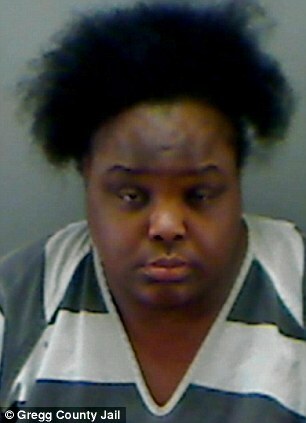 She was then arrested and charged with failure to identify/giving false, fictitious information and given a $500 bond. My question is, what goes through the mind of someone who can pull off such an elaborate scheme? I wondered if she had some sort of mental problem, but after reading this story over and over, I have come to the conclusion that while she may have some personality deficits, she is simply just a con-artist. Good con-artists know how to trick you so that you aren’t even suspecting that you are getting conned. Everything seems to be as it should and so our brains don’t pick up on the deceit as easily. For the most part, our brains aren’t created to catch con artists. It’s easier to recognize a manipulation on paper than it is when we are face to face with a person, which explains why so many of us get deceived so easily. It’s best in this situations if we do not make quick decisions and take our time before jumping into something, especially something big or out of the ordinary. It gives us time to think and another chance for our brains to try to read through the deceit. Con artists in general tend to have antisocial personalities. They do not care who they hurt, use or betray as long as they are getting what they want. They generally never feel sorry for what they are doing and usually never stop, even once they get caught. They will continue to either try to con their way out of the situation, or if they end up incarcerated, will just come up with another con when they get free. This woman, Charity was getting free housing, free food, clothing, her hair and nails done, attention, affection and another opportunity to relive her teenage years bigger and better than before. She had a lot to gain and didn’t care who she hurt along her path. I do not believe she is not mentally ill. She may have a mental deficit and even if she qualifies for antisocial personality disorder, it is are hard to treat which is why many of them are in our jail and prison systems. Hopefully some time in jail will help her get back to reality, but I doubt it. I imagine she will be running one scam or another sooner or later. In the meantime, the people who have allowed her into their lives as a 15-year-old orphan, especially the children at the school she attended, are left trying to wrap their minds around this troubling event and I am much more concerned about how this will affect them. We know she had a best friend and friends at this school, but what if she also had a boyfriend? I shutter to even think about that. It’s been known for a long time that when people with depression are treated with antidepressants, their risks of committing suicide can actually increase, at least initially. It’s thought that one of the causes of this is because highly suicidal people are often so depressed that they don’t have the energy to go through with attempting suicide. However, when they start taking antidepressants, sometimes they will start to feel more energy before they actually start to feel less depressed, therefore they now have both the thought to commit suicide and the energy to do it. Recently, a study published in JAMA Internal Medicine explored the effects of antidepressants on children and young adults and found that they too have an increased risk of suicide when they first start on antidepressants, perhaps even more so than older people, especially when given selective serotonin reuptake inhibitors (SSRIs). SSRI antidepressants can increase suicidal thinking and behavior in children, teenagers and young adults which is why the Food and Drug Administration issued a warning about the risk in 2004 after various independent studies showed a higher rate of suicides and suicide attempts among children and teenagers taking SSRI antidepressants . The risk of suicide was most severe for those young people who started taking antidepressants at higher than average doses. They were twice as likely to attempt suicide when compared to those taking an average dose. Than why are SSRI antidepressants being used? It’s because many think the benefits of them far outweigh the risk since the medication eventually lessens the risk of anxiety, depression and suicidal thoughts and behaviors. In most cases, SSRI antidepressants work really well and can be life savers, but there are risks that every parent should know about including the risk of increased suicidal thoughts. 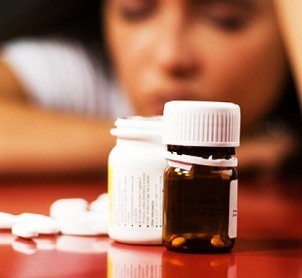 People under 25 who were started on a higher than recommended dose of SSRI antidepressants were twice as likely to attempt suicide, especially in the first three months of starting them. You may be asking, why then do doctors prescribe a higher dose than necessary? In the study, almost 20 percent of the people had been given an initial prescription for higher than recommended doses. Part of the reason why is often times doctors including psychiatrist, play a guessing game when prescribing medication. They often don’t know what doses will be effective for a person and often don’t follow guidelines. They start people off with a dose that may be too much or too little and count on them to come back and let them know if it’s working or if they are having too many side effects. Then they will decide if they should increase the dose, decrease it or change the medication all together. I’ve worked in the mental health field long enough to know that psychiatry is often a guessing game and anyone who has been on psych medications before can attest to this. Many patients often tell me they feel like the psychiatrist is using them as a Guinea pig because they keep trying different medications and doses of medications out on them. In all fairness, usually psychiatrist do this to see what works best for the patient, but often time the patient is left feeling an experiment and may even stop seeking help. I’ve included a great Ted Talk video on psychiatry that talks about the importance of looking at individual brains instead of playing guessing games when it comes to treating people. Not everyone who has depression or anxiety or any other mental illness should be treated in the same way with the same drugs or with the same therapy, but in psychiatry and the mental health field in general, that is often the case. If you or your child is depressed and thinking about getting on an anti-depressant, make sure you talk to your doctor, read the black box warnings and ask the important questions so that you will be informed and also know what warning signs to look for. antidepressants have worked wonders for many, but for some they have also been tragically bad.